Throughout his time at the Lab, Peter has been one of the public faces of the company, rising from PR Specialist to his current position of Senior Director of Global Communications, gathering a wealth of knowledge about the Lab’s products along the way. In-world, his Classic avatar has often been visible at events such as the SL Birthday celebrations, taking questions at Meet the Lindens events, VWBPE conferences and more. More recently, Peter’s role has extended beyond Second Life to encompass Blocksworld and Sansar, and he has never failed to deal with the myriad question I and a lot of other bloggers have forwarded to the Lab over the years, as and where he has been able to do so. 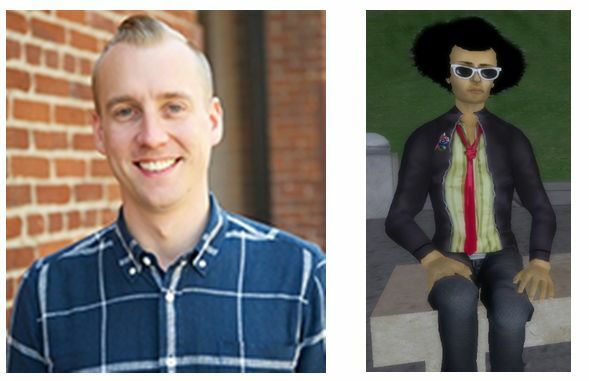 In departing Linden Lab, Peter is moving on to a new role with the communications team at Facebook AI Research – and I wish him well in the new role, although I can honestly say he will be sorely missed. On a personal level, I would like to take this opportunity to publicly thank Peter for all of his help over the years; I’ve deeply appreciated our working relationship, and can say with hand on heart that his support, assistance and insight is one of the major reasons I’ve kept on blogging about SL for so long; his support – and what of the Lab as a whole – has, I believe allowed me to present news and information through these pages objectively, and in the knowledge it is as accurate as I could possibly make it. Throughout all our time in correspondence and conversation, Pete has never been anything less than open, supportive and friendly. I’d like to further thank him for the personal invite to pop into the Lab and pay him a visit if ever I managed to get back to California and make my way up to San Francisco; I’m genuinely sad I never got to take him up on the offer. Many thanks again, Peter, and wishing you all the best for 2018 and the future! Thank you for the kind words, Inara! It’s been great to have the opportunity to correspond (and meet you inworld) over the years. I wish you all the best, and when you do make it to SF, hit me up for a coffee and catch-up. Thank you, Peter. I will most definitely take you up on the offer when my travels do see me back on the West Coast :). This will hopefully be sooner rather than later, as it’s been far too long since I was last in LA, and even longer since my last trip to the Bay area & northern California!